Colorful photos and designs, unlimited size options, fast turn around time, versatile finishing methods, indoor and outdoors applications. Banners are one the most common and best used sign types. Banners – indoors and out – are attention-grabbing signage. The words, design, placement and materials work together to send a message. The sign masters at April Graphics work with you to determine what installation methods and materials will work best to meet your objectives. 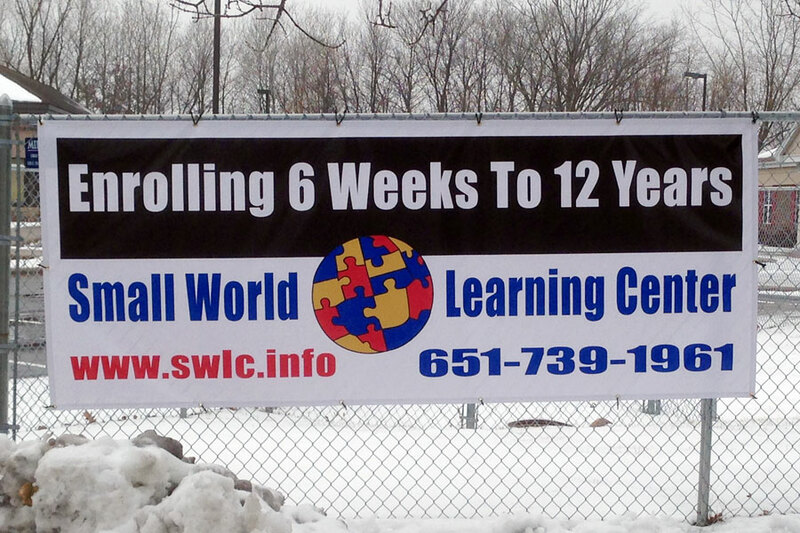 We can use your design, or we can design a custom banner that fits your specifications. By using digital technology, we can transfer your design with high resolution quality onto the substrate that works best for your specific outdoor banner needs. Substrates range from sturdy, weather-resistant fabrics to lighter-weight fabrics that respond to the slightest movement of air. Construction techniques include grommets and pole pockets, sewing and welding. One day events or years of service banners can do it all.